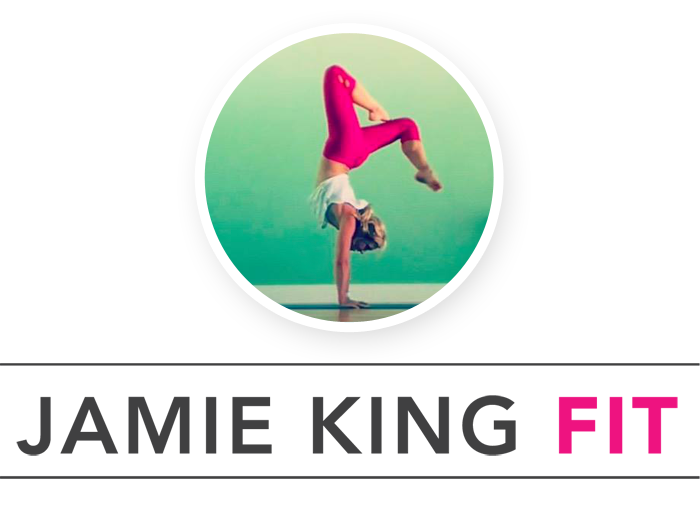 At this point, it seems that almost everybody has taken some form of probiotics (or at the very least heard of them); probiotics are everywhere and in almost ever form from popular probiotic drinks (think kombucha, drinkable yogurt, kefir, probiotic infused waters), to yogurt, and even supplements (if you’re looking for a great probiotic supplement, try Primal Blueprint). Hell, even my dog takes a probiotic. And no, I’m not kidding. If you’ve been blindly taking probiotics without really knowing why – it’s simple – they are the good bacteria and yeasts that your body needs to stay in balance – they help aid digestion and improve your overall health. Healthy gut = happy gut. And while we’ve all been ingesting these healthy bacterias for years in hopes of a happier, healthier gut, we’re now seeing a growing number of brands incorporating these live bacterias into their products, claiming that they are as good for your skin health as they are for your gut health. As someone who sweats for a living, aka is almost always make-up free, and had a bad case of teen-age acne, taking care of my skin is a must. And just like the foods I choose to ingest, I know that the products I use on my skin should also be natural,without breaking the bank. 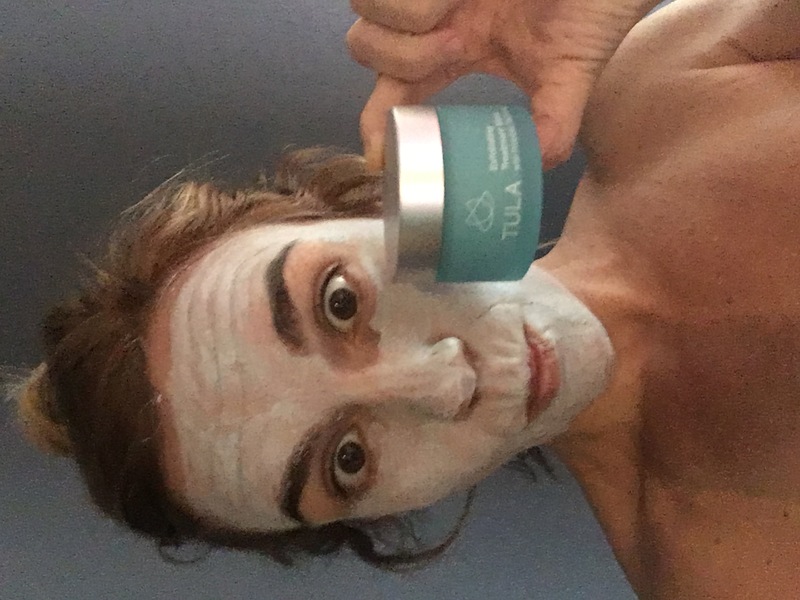 Which is the very reason I was so excited to try Tula’s skincare line – Tula incorporate probiotics into their products along with other natural extracts like watermelon and avocado oil and promises to cleanse, nourish and protect the skin from the elements. If you’re thinking, if probiotics are for your gut….then why would I put them on my face…? I’d say, good question. While probiotics are good for your gut, remember they are just healthy bacteria that the body needs to be balanced. Using probiotics on your skin works in the same way – the healthy bacteria works to protect the skin from harmful bacteria and microflora in the environment. Basically, the probiotics work to help to replace and restore the skin’s vitality by acting as a protective barrier against the environment – helping to address problems caused by aging, environmental stressors, and other skin imbalances (ie acne, sensitives, etc). Get your skin on the right track! To get my skin on the right track, I’ve been using Tula’s Purifying Cleanser and the Exfoliating Treatment Mask. 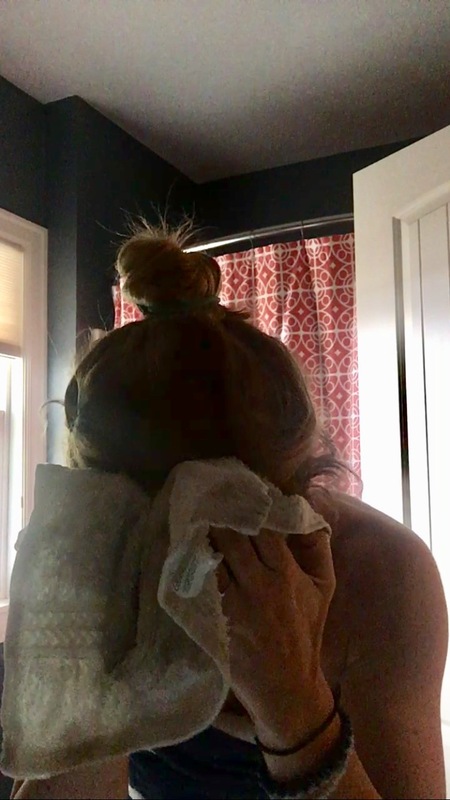 As a former acne filled teen-ager, sun worshipper, and sweat enthusiasts, I’ve tried a few facial cleansers in my day. What I love about the Tula Purifying Cleanser is that it gets my skin good and clean without feeling harsh or drying. I can use it everyday, morning and night and it leaves my skin looking and feeling fresh, renewed, glowing and soft without leaving any sticky or oily residue. In short, it feels perfectly balanced. Plus, it doesn’t contain any phthalates, parabens, mineral oil, petrolatum, propylene glycol or gluten and it is 100% cruelty free. Skin care you can feel good about. While the Tula Purifying Cleanser is my daily brightener – better than any make-up I’ve ever tried – and The Exfoliating Treatment Mask is my weekly secret weapon for younger looking, more balanced skin. Just like the cleanser, I love how this mask gives me that deep clean feel without the harsh stripping or peeling. It leaves my skin feeling renewed and soft which also reducing the appearance of fine lines (ahem, those wrinkle looking things…). 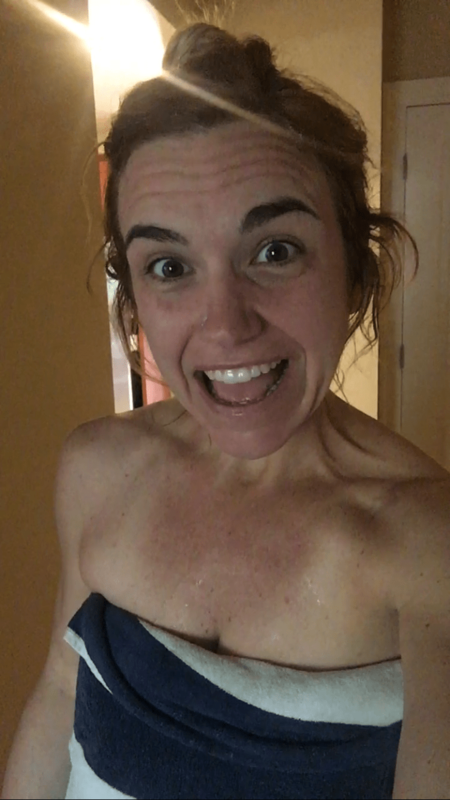 It allows me to feel good in my skin day in and day out, even when I’m covered in sweat and make-up free. If you want to get your skin balanced and glowing, give Tula probiotic skin care products a try. Healthy bacteria is in. What is your favorite healthy skincare regimen? Have you ever tried probiotics for your skin? 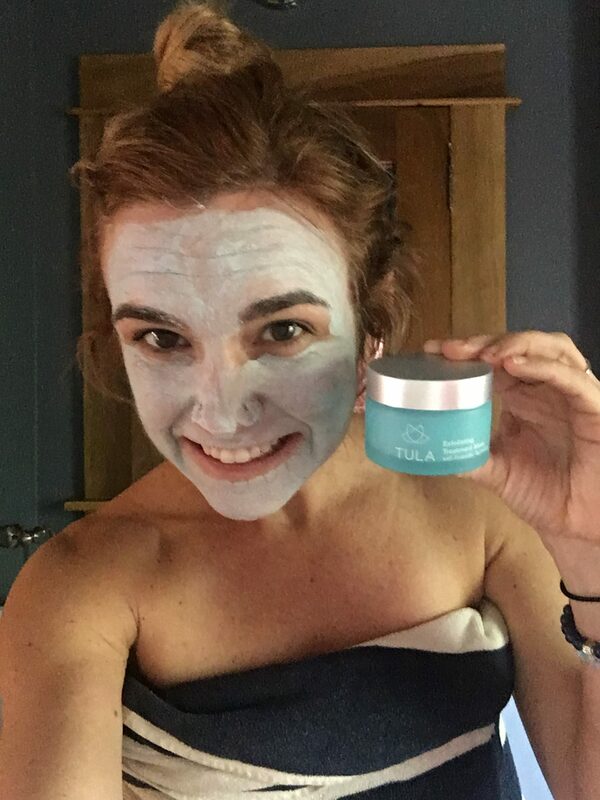 Disclaimer: I was provided with Tula Purifying Cleanser and Exfoliating Treatment Mask for review purposes. That said, all opinions, words, and thoughts are my very own. Probiotics for the skin? Sounds good! I’ve never really heard of this being in any skin product but I’ve heard lots of good things about probiotics. I’ve got to try this out. Thanks Jamie. It’s such good stuff, I can’t recommend it enough!